I have a lot to show you today, so let’s get started. I finally woke up to my workout alarm today and hit up the gym for a swim. I like swimming on Friday’s. The pool is quiet and it is a way for me to just zone out and gear up for the weekend. I still try very hard while swimming, but Friday’s are always a bit more lowkey in the workout department for me. 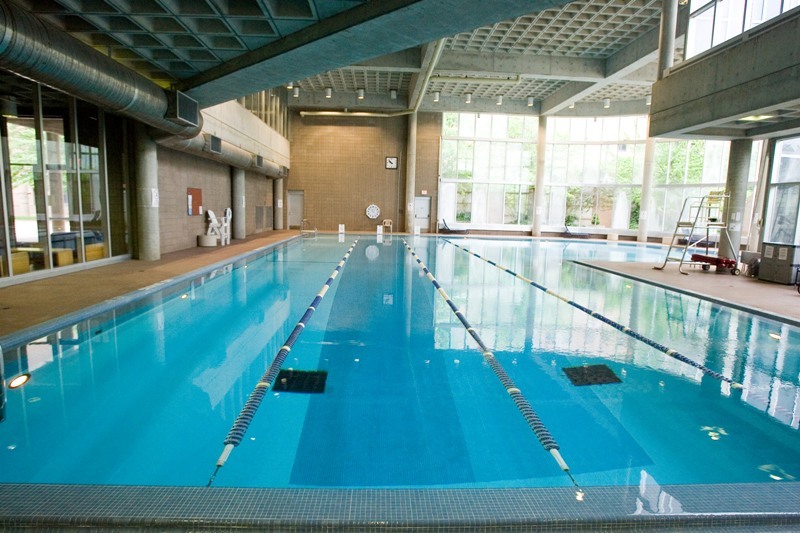 I swam for 40 minutes and completed 50 laps (100 lengths or 2000 yds). It felt great! 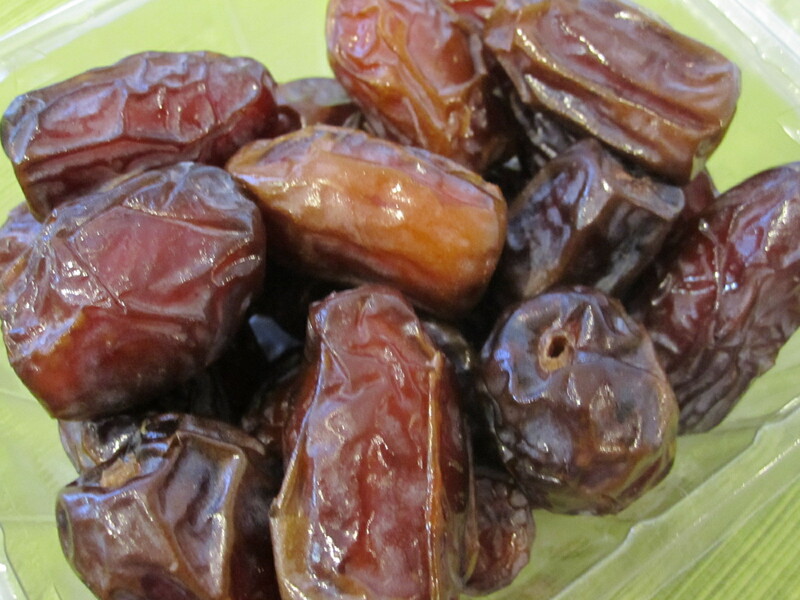 Before my swim, I needed a pick me up, so I ate 2 of these cold medjool dates (I love them straight from the fridge). Dates are great workout fuel. I often eat them before a run/workout and while training for my marathons, I ate them (or raisins) during my long runs. 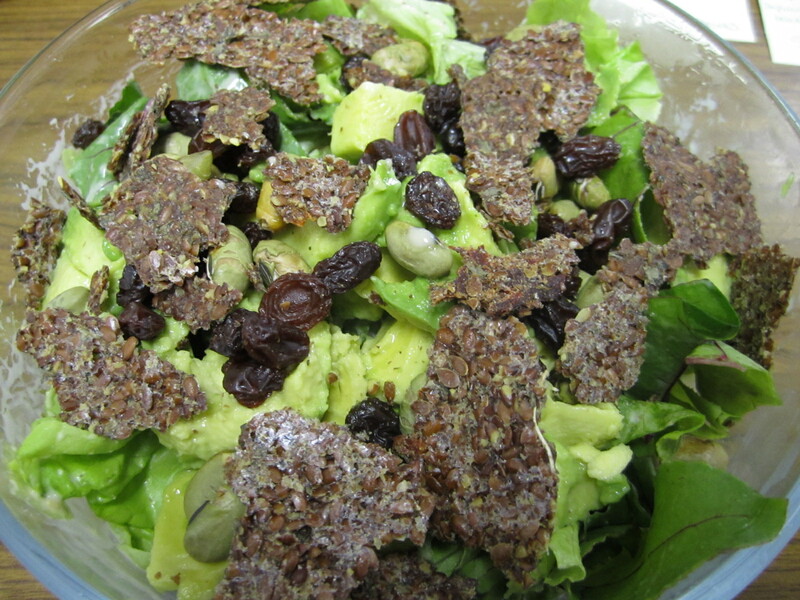 Dates and raisins both provide easily-digested simple carbs. 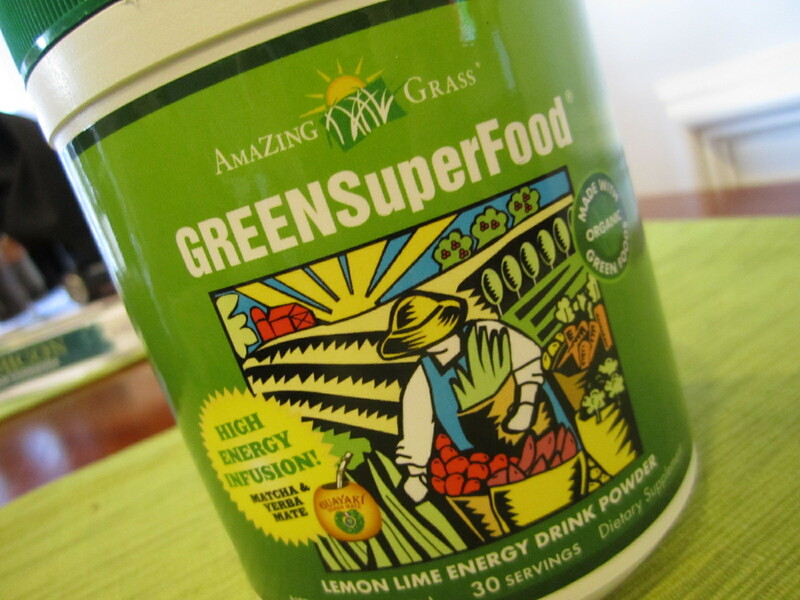 Along with my dates, I also tried out this new energy drink from Amazing Grass. It is a new Lemon Lime energy drink powder that they sell. I have read a few things about it, so I wanted to give it a try. All you do is mix 1 scoop with water and shake, then chug! I say chug because it still has a grassy taste, but the lemon lime flavor comes through nicely. I actually liked it, but it is definitely an acquired taste. The powder contains matcha green tea and yerba mate to give you that kick of energy you sometimes need at 5am! Plus, 1 scoop contains 7 servings of fruits and veggies! As I always say, I believe that it is important to get your fruits and veggies from actual whole food, but when in a pinch (such as travelling), this could work. Do I think it worked? Actually, yes I do! Between the energy drink and the 2 dates I felt awake and very strong in the water. After my swim, I wanted carbs, carbs, carbs! 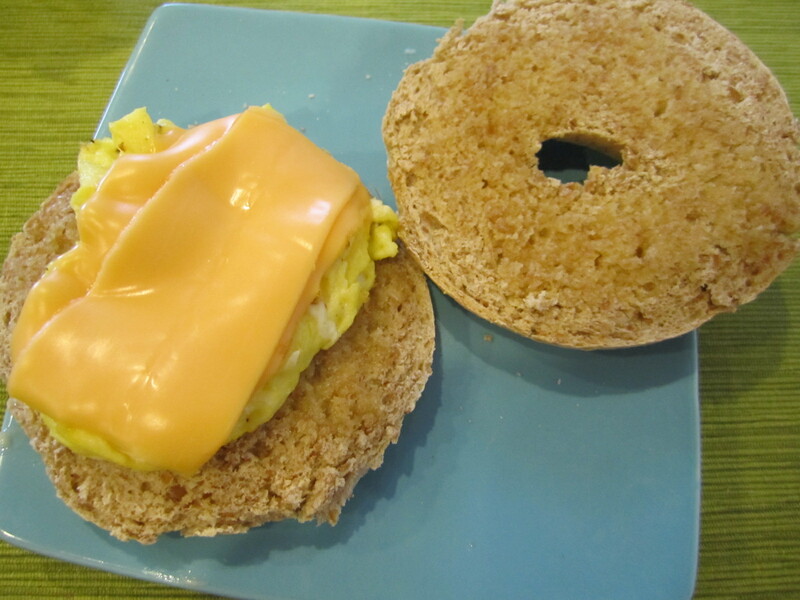 I got the sprouted wheat bagels out of the freezer and begged my husband to make me an egg before he left for work. 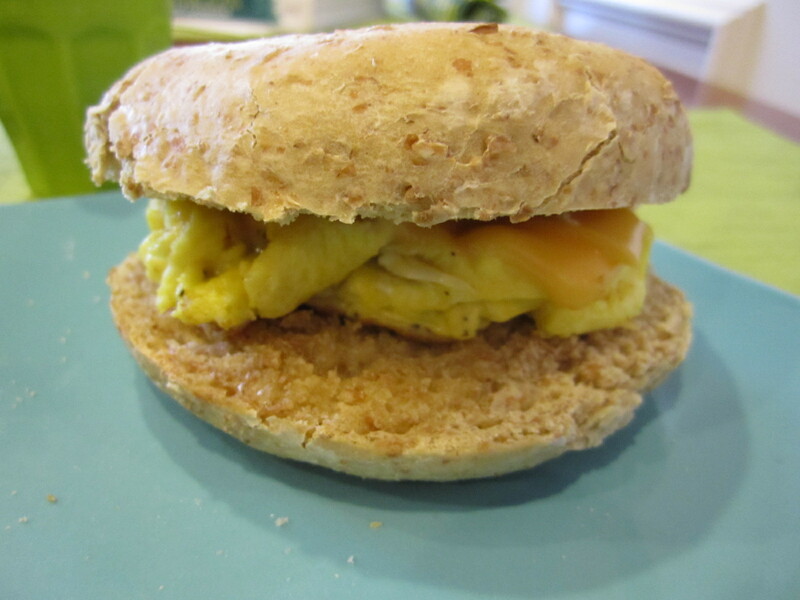 (I can do it myself, but don’t they always taste better when someone else makes them?!) He agreed…and made himself one in the process. 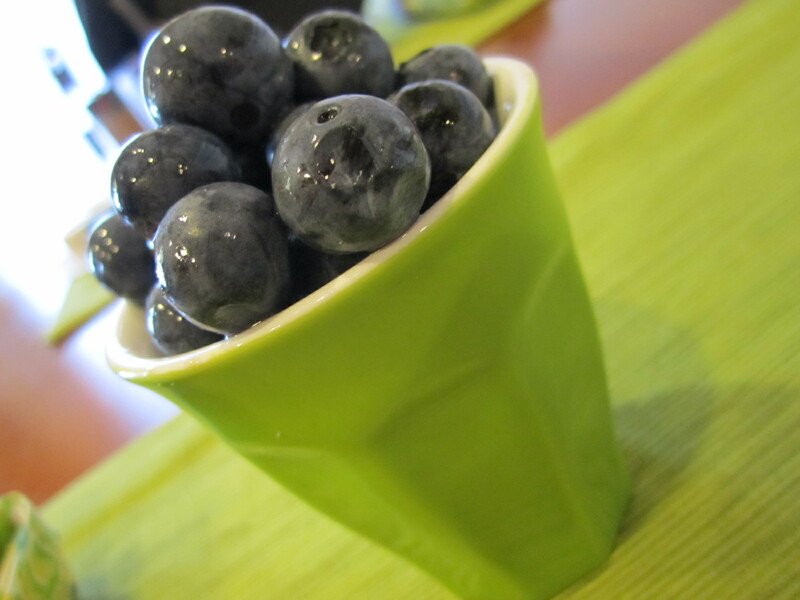 On the side, fresh blueberries! 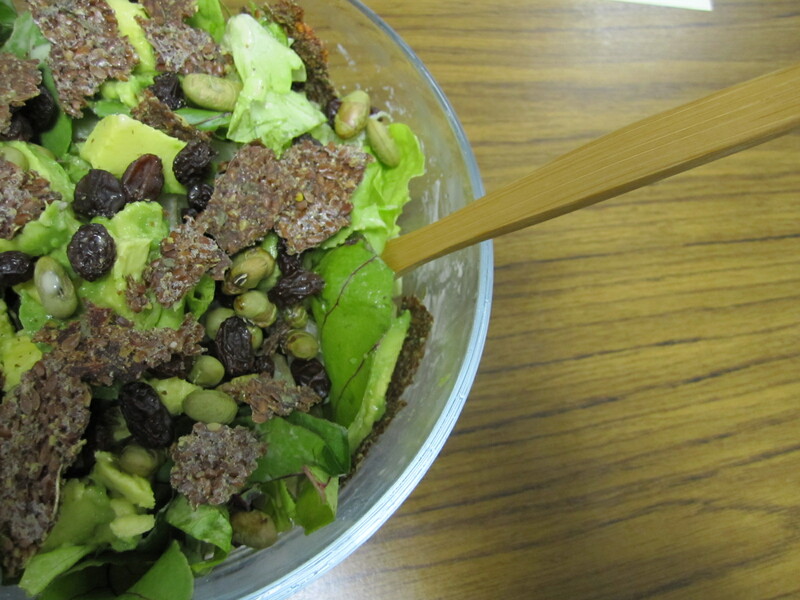 …but, soon I was off to work. Good thing I packed lunch!! 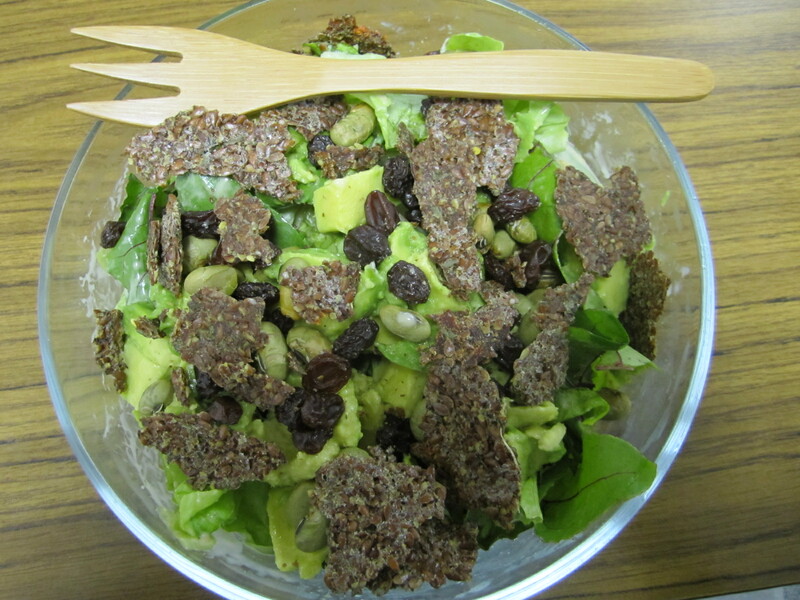 Salad with green leaf lettuce, beat greens, a whole small avocado, dried edamame, raisins, raw tomato basil crackers and goddess dressing. Do you like my fork? I have been trying to remember to bring my own silverware everyday to work so that I can reduce the amount of plastic that I use. But, sometimes I forget. So, I had been looking to purchase a random set of silverware to have at work, and to bring with me on road trips, etc when I find myself using plastic a lot. 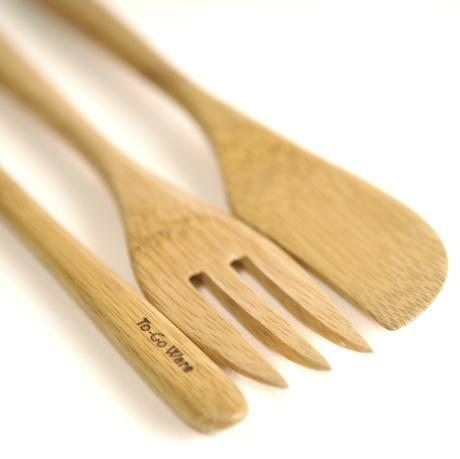 Enter, the To-Go Ware bamboo utensil set! 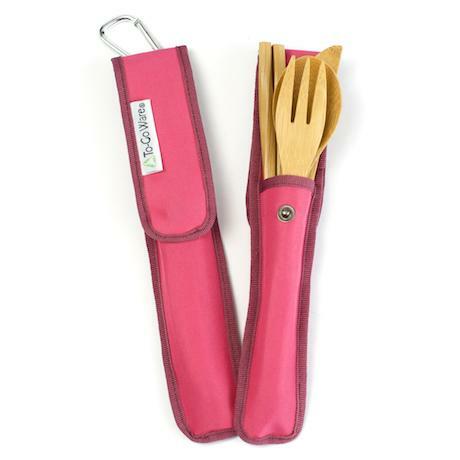 The bamboo is very sturdy and the case is made from recyled plastic bottles. How cool is that?! I mean, we know how much I like buying products that are made from yogurt containers. Plastic bottles are just as good! I have to admit, I was a little nervous as to how the fork would work. Well, it worked just like a normal fork! It worked so well, that I went out at my lunch break and bought another set for my husband. Are you excited, Brant?! 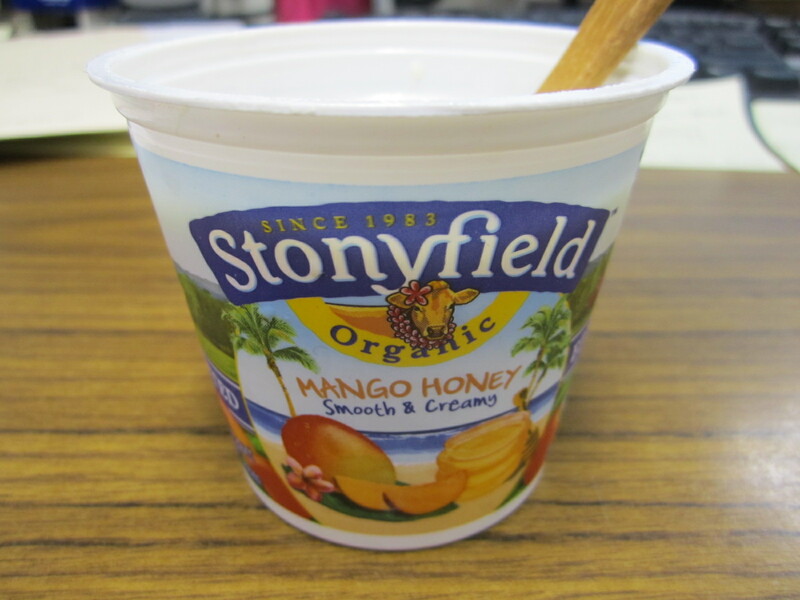 Along with my salad, I had a yogurt (eaten with a bamboo spoon). 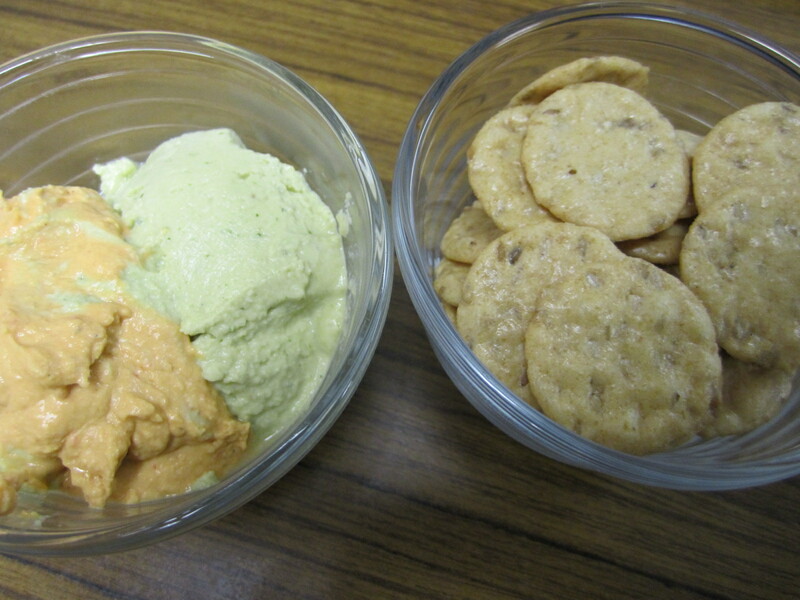 And, my mid-afternoon snack consisted of hummus and rice crackers. I am planning on making something fun, delicious (I hope!) 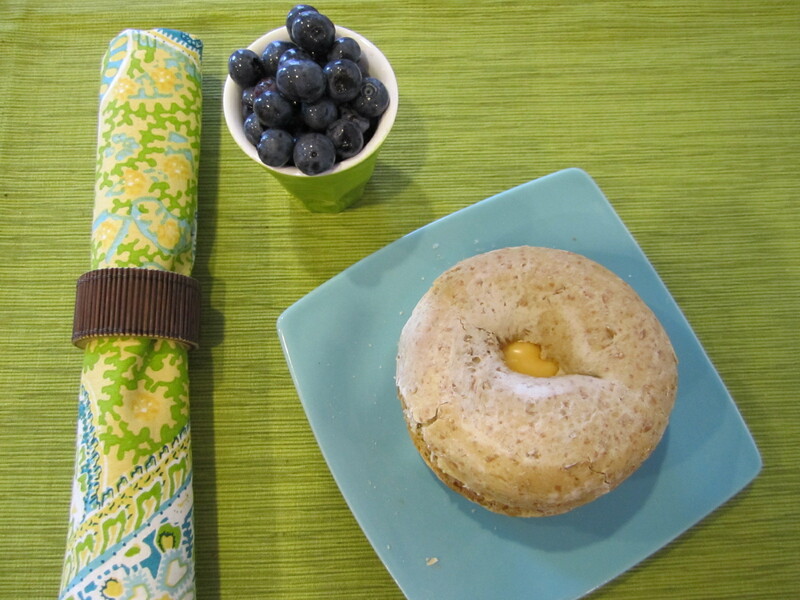 and healthy for dinner, so be sure to check back for the recipe tomorrow morning!